These light, buttery French Breakfast Puffs are rolled in cinnamon-sugar for the perfect breakfast treat or party sweet. Today is a very special day around here! And no, not just because I am actually posting 4 days before I get married – although, believe you me, that is pretty miraculous in and of itself. 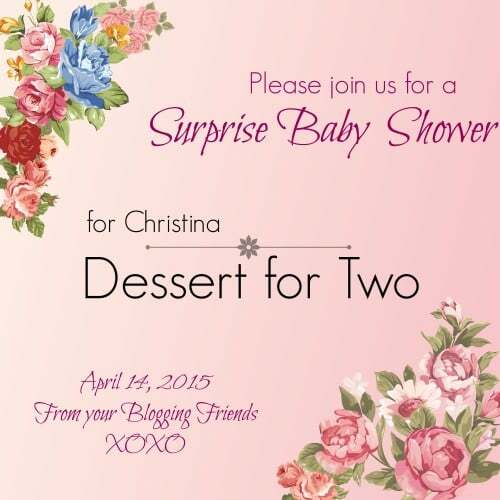 No, only a handful of things could persuade me to post this close to the wedding, and today it is because I am joining with some of my blogging friends to throw a virtual baby shower for our friend Christina from Dessert for Two! Christina was one of the very first “established” bloggers to befriend me when I started this site, and has remained a dear friend ever since. We bonded over our common understanding of southern grandmothers and remained friends because of our love of dessert. Alex and I adore both Christina and her husband, Brian, and we could not be more excited for them as they welcome their first child – a baby girl! – into the world. 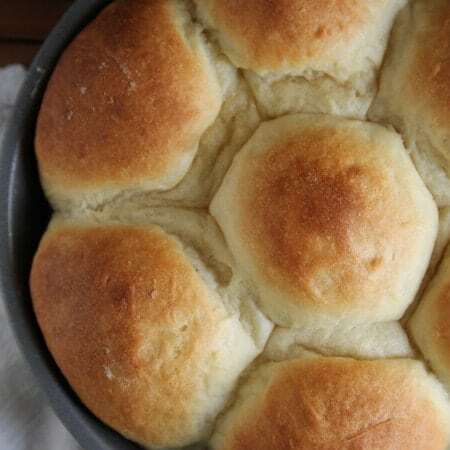 For Christina’s big day, I dove into the family recipe files and pulled out this recipe for French Breakfast Puffs, which is a recipe my mother acquired during her junior high Home Ec class. 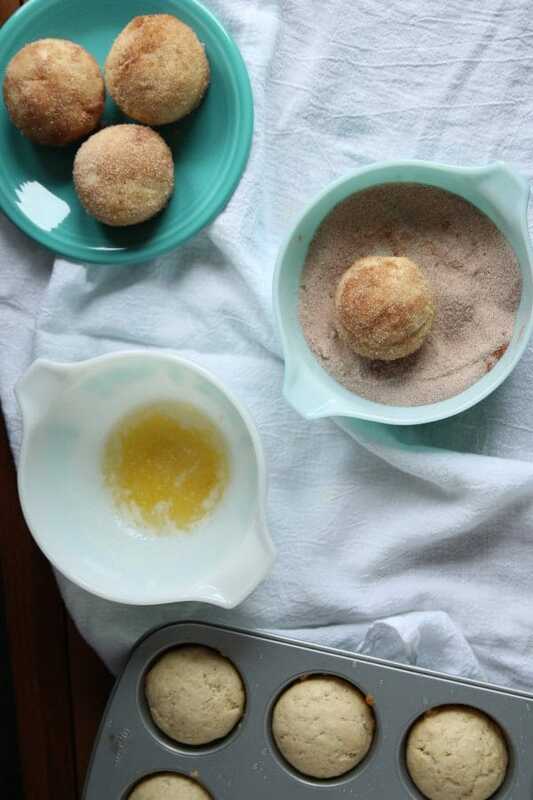 This recipe is a cinch to make, and makes the most perfect little breakfast puffs dipped in melted butter and rolled in cinnamon-sugar. 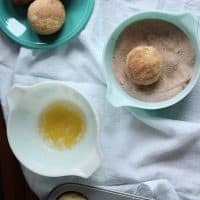 Make these French Breakfast Puffs for a breakfast, brunch, or even a baby shower. If the butter and cinnamon-sugar don’t automatically make you the most popular person at the party, I don’t know what will. PSA: When your nails match your dishes, you might have a problem. Preheat oven to 350 degrees. 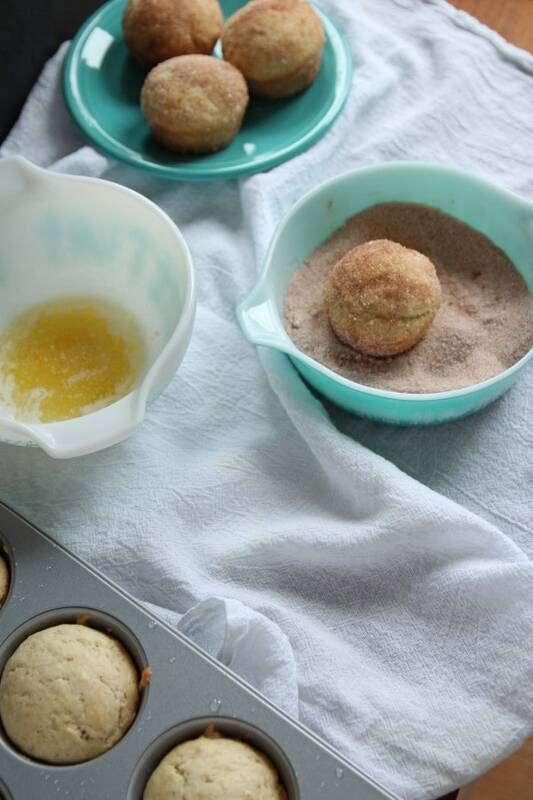 Grease a muffin tin; set aside. In a large bowl, cream together the butter and sugar until fluffy. Add the egg and mix until well combined. Sift together the dry ingredients. 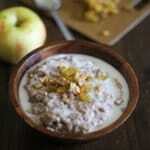 Add alternately the dry ingredients with the milk, beginning and ending with the dry ingredients. Fill the muffin cups 2/3 full (should fill about 10 of the cups). Bake for 20-25 minutes or until golden brown. While puffs bake, mix together the remaining sugar and cinnamon in a shallow bowl. Upon removing from the oven, immediately roll puffs in the butter, then then cinnamon-sugar mixture. Best served hot, but will keep for up to 3 days in an airtight container. Speaking of showers – A couple of weeks ago, some of my dear friends (Christina included!) threw me a surprise virtual bridal shower! I was so touched and adored all of the recipes, as well as everyone’s kind words. No one told me that getting married meant having all of the people say beautiful, touching things about you! 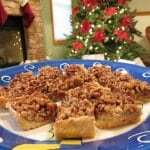 Check out the posts from my friends as well – love and recipes abound! Ahhhh!! 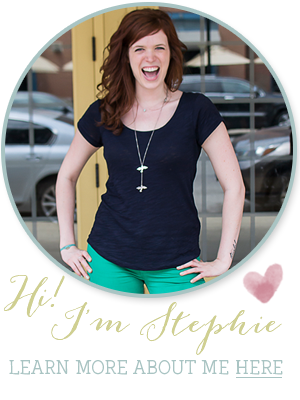 Stephie! I am so surprised! and happy! Yay! I’m so happy that blogging has led me to you and Momma Swope. I mean, how crazy is it that we are friends because of le internet? That I have a gorgeous quilt in my baby’s room all because we had deep dish pizza in Chicago one day? Life is le crazy. Ok, gonna stop with le everything. Thank you SO much! You are so sweet! 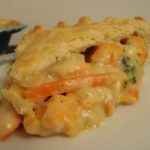 and this is one of my favorite recipes ever. It’s as old as time, and I can just see our Southern grandmamas making it! Did I respond to this already? I don’t think I did. I’m losing it. Hand me a puff. Love you so much! What a lovely surprise for Christina! Showers are happenin’ all over the place! ‘Tis the season, and a season I think is pretty fun! Awe, what a sweet post for Christina! And can we talk about these breakfast puffs? OMG I need to make them! 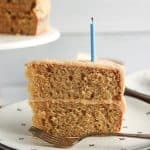 I’m so into anything cinnamon, and these are just beautiful and sound delish! Seriously, what is it about cinnamon that makes me devour sweets covered in it like a mad woman?? What a treat!! True story – I’ve never made breakfast puffs *ducks and covers*. I simply MUST now!! And how perfectly French for little Ms. Camille! These are so darling! And OMG they sound so incredible! Love these puffs! I’m torn between wanting to eat them one by one like a lady or seeing how many I shove into my mouth at once. Because I’m sure once I take a bite, I will want to devour them quickly. That’s basically my dilemma with all the sweets. Yay for Christina!!! And for blogging friends and for breakfast pastries!!! Girl, T-Minus 4 days!!! Aaaaaaahhhhh!!!! Hand over all the breakfast pastries. LIKE WHOA. Seriously such a sweet post and major props to you for getting it up 4 days before your wedding.. rock star material right there girl! 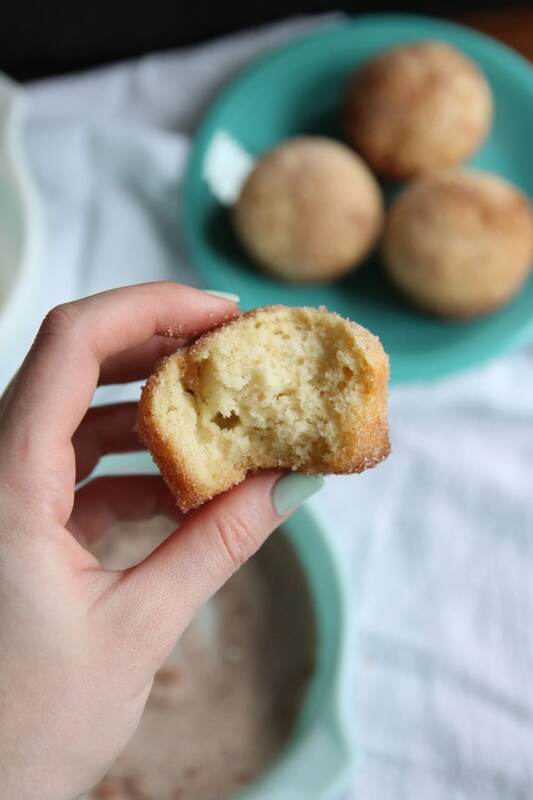 And lets just talk about these french breakfast puffs.. holy hannah I would a dozen of those in front of me right now! Haha, thanks! In retrospect, it was pretty crazy. But I’d do just about anything for Christina! She’s such a doll! Lovely treats made by one lovely lady for another! 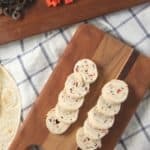 These look perfect for any celebration. Happy almost wedding to you! ohmygosh I want fifty of these!!!!!! 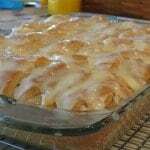 3-These breakfast puffs look SO delicious. I'd love a big plate of these for breakfast! Spoiler alert – the being a Mrs. thing takes a while to sink in. WHEE! Your nails match your bowls…could you be any more adorable?? Congratulations to Christina and to YOU Stephie!! I’ll celebrate with a dozen or so of these puffs thankyouverymuch! Adorable…or certifiable? 😉 Thank you so much! What a great way to celebrate a new baby. These sound so buttery and delicious. Yum!